The American Alpine Club recently announced that Whitney Clark, Ryan Johnson, Kurt Ross and Alan Rousseau will receive Cutting Edge Grants this year, totaling $20,000. The grants will support expeditions to Alaska, India and Pakistan. An AAC press release reads, "The Cutting Edge Grant seeks to fund individuals planning expeditions to remote areas featuring unexplored mountain ranges, unclimbed peaks, difficult new routes, first free ascents, or similar world-class pursuits. 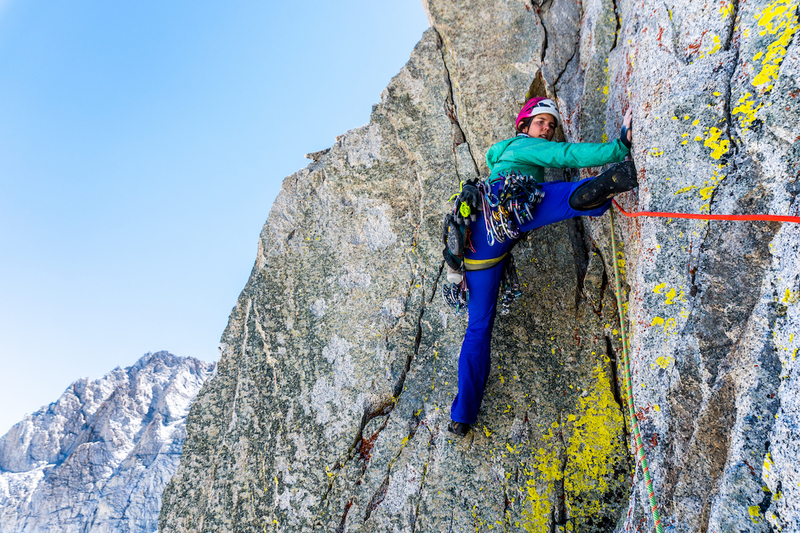 Objectives featuring a low-impact style and leave-no-trace mentality are looked upon with favor...."
Whitney Clark is receiving $5,000 to lead an all-female team on a bid for the main summit of the west face of Arjuna (6230m) in India. She and her partners plan to climb "a steep 1400-meter unclimbed buttress, which lies to the left of all current established routes," the AAC reports. 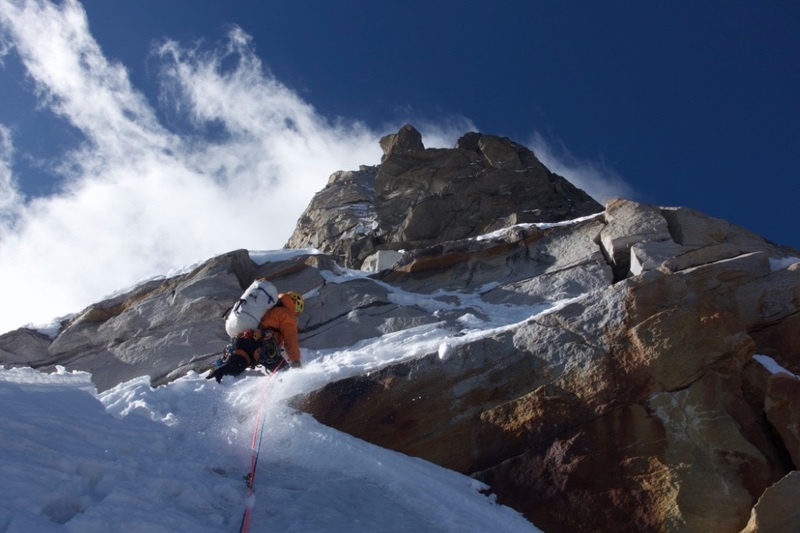 "The peak is accessed via a complex icefall, followed by technical high-alpine climbing. It is their goal to climb the route free and operate in a fast, light ethic." Clark has made previous expeditions to India and South America, and often explores new routes in California's Sierra Nevada Range. Ryan Johnson is receiving $3,000 to attempt the east face of Mt. Hayes (4215m) in the Alaska Range. According to the AAC, "Ryan attempted the line in 2013 but extreme cold and illness shut down the expedition. The line on Hayes is primarily an ice hose, with a 600-meter steep mixed section." Johnson has completed several other Alaskan first ascents, including multi-pitch ice routes, and a 14-pitch line on the north face of the West Mendenhall Tower in a 33-hour round trip with Sam Magro in 2008. Kurt Ross is receiving $6,000 to attempt the unclimbed peak Karmading Brakk via the Lachit Valley in the eastern Pakistani Karakoram. The 6000-meter peak offers such striking lines that "it certainly would have been attempted earlier had it not been for historically restrictive military control in the area," reads the AAC press release. 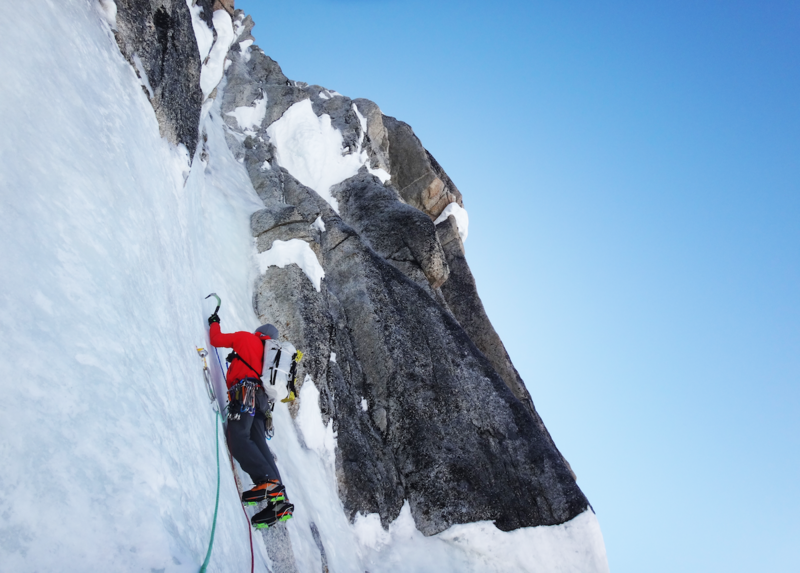 Ross mentioned to Alpinist that Jess Roskelley is partnering with him for the expedition. Roskelley made the first complete ascent of Mt. Huntington's South Ridge in Alaska with Clint Helander last April. Ross placed in the middle of a talented pack of climbers at the Ouray Ice Fest competition in 2015. Alan Rousseau is also receiving $6,000. He will attempt the remote north face of Chiling II (6400m) in the Himal India. 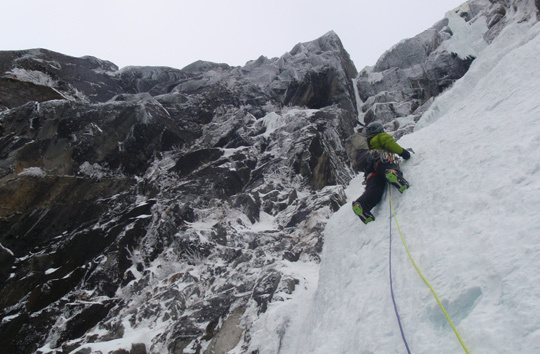 "With a difficult, mostly unsupported approach and hard climbing at altitude, this objective represents a step forward in Alan's climbing and [is] likely one of the harder north faces he and his team have ever attempted," reports the AAC. Rousseau's first visit to India culminated with the first ascent of Rungofarka via the peak's north ridge with Tino Villanueva this past autumn, which entailed 50 pitches of sustained technical climbing up to M6 WI4+. Applications for the Cutting Edge Grant are accepted each year from October 1 through November 30. For more information on Global Rescue and their memberships, click here. In other Club news, the AAC now has more than 20,000 members—a new benchmark. "Watching our membership quadruple to 20,000 over the last few years has been a testament to our community and what we can do together," Club CEO Phil Powers said in a press release. "The benefits are great but people stay because they care about sharing knowledge, participating in efforts to conserve our climbing environment, and advocating for the landscapes in which we climb."